Awaken your taste buds with Mibrasa! Feed your senses with Mibrasa charcoal cooking ovens. All products are welded construction with artisan detail and 90 lb. doors with fingertip controls. The ovens come equipped with infinite heat and flame combustion controls. 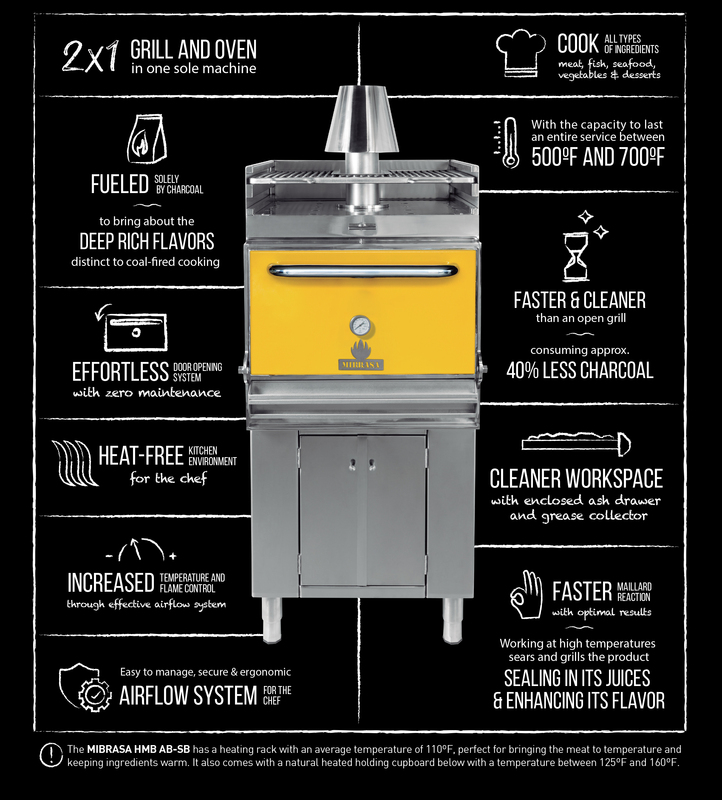 Looking for some inspiration and recipes to make with your Mibrasa Charcoal oven? Get Recipes Here! Mibrasa is a young, family-run company that emphasizes quality and robustness, so their grills are made to last. To learn more about Mibrasa solutions for your operation, contact Preferred Marketing Group today!